Dr. Noel T. Paredes is a highly respected and renowned dentist in the Fresno and Clovis area. At his homey and modern dental office, he performs excellent general dentistry, cosmetic dentistry, and restorative dentistry. He uses more than 15 years of experience along with versatility to create healthy, functional, and natural looking smiles. Dr. Paredes practices the Concept of Complete Dentistry which emphasizes a comprehensive, individualized approach to a patient’s dental care, beginning with prevention and early intervention. Along with that, he strongly promotes minimally invasive treatment procedures and a financially conservative, biologically sound approach to dentistry. 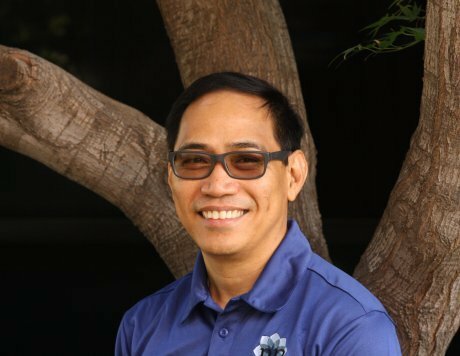 Originally from the Philippines, Dr. Paredes recognizes that his skills and expansive knowledge in dentistry are God-given potentials that must be practiced and delivered with passion, enthusiasm, and excellence. He along with his wife Cecil, an ICU nurse, like to do interior design. They enjoyed decorating the office together, making it very comfortable and non-threatening to most patients. Aside from being busy at work, Dr. Paredes enjoys being with his son, Zachary, taking him to Taekwondo class, soccer games, and tennis games, among others. On working mornings, Dr. Paredes jumps out of bed with a big smile on his face because he knows that he is up to performing transformative smiles on his patients. For him, dentistry is more than a job; it is a mission to make smiles happier and real.